I am presenting you …… the very first flower field of 2014 in bloom! Yay! 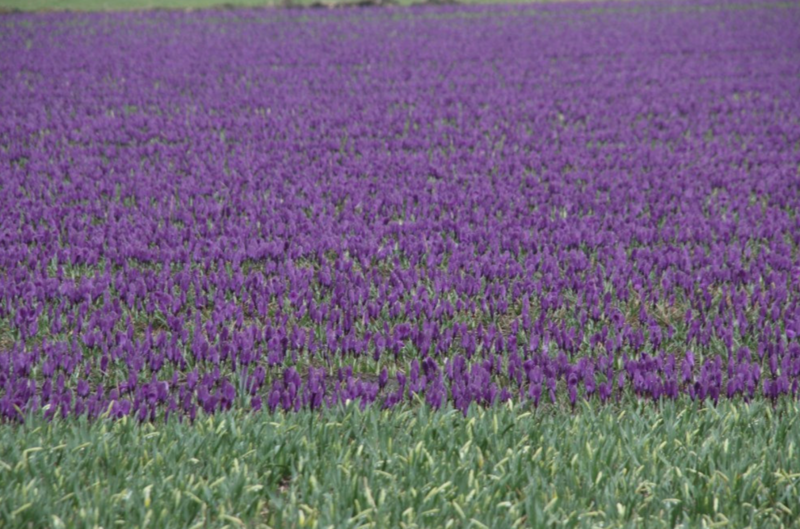 For all the people who are traveling, don’t worry these flowers are not tulips, but beautiful purple crocuses. As you can see the field next to it is a daffodils field and it need just a couple of days of warmth and sunshine to get in bloom. I shot a short video of it. You can see it on the Tulips in Holland youtube channel. From now till the end of May we will have a weekly flower update with the latest news on all the flower fields, Keukenhof and blooming status. Please sign up to receive the weekly flower update. Have a great tulip weekend!